Volareo smart speaker: a breakdown of all its features. 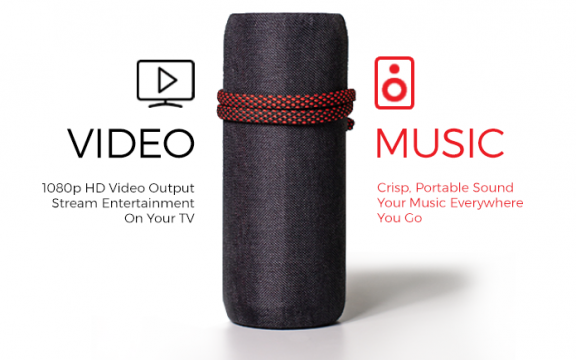 Volareo is a portable smart speaker that works as a voice assistant, TV broadcaster and music streaming player. It encompasses all the needs of an entertainment hub, giving you the possibility to stream video as well as listen to music, all while being portable and easy to carry. Wireless charging functionality ensures that when you’re at home the device can have its energy topped up easily, before bringing it to a party or a barbecue. Language support ranks above any other smart speaker on the market at 80 languages (yes!) thanks to a partnership with Travis the Translator. The device is also splashproof. But let’s go into details on the specifics of every feature. We all have very dynamic lives. Everything is “to go”, from your coffee to all of your devices. A cable is a constraint. This way you’re pinned down to one location. 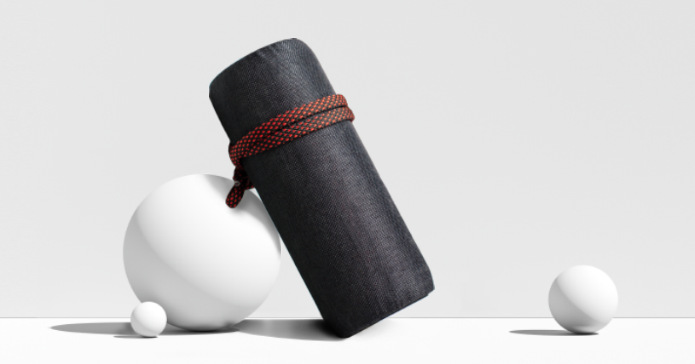 Our Volareo speaker comes with a built-in battery that lasts from 6 to 8 hours. Most smart speakers are nowhere near that. To be totally correct, most smart speakers don’t even have a built-in battery. At all. Like this, you can jump from your couch in which you were watching your favourite series, to somewhere on the beach when your friends give you a quick call. In a matter of seconds. Unplug your HDMI and go. That easy. And if you want to finish that series grand finale, plug it in again and continue. Entertainment never stops. Why should you? In addition, if your battery is suddenly low, our speaker is easily chargeable wirelessly. Set it above any wireless charging pad and continue the fun. You won’t find many devices giving you all this flexibility and ease to use. Video is everywhere. According to statistics, video will be a whopping 70% of all traffic on the internet by 2019. Streaming, on-demand, subscription based. You name it. Do you prefer Netflix streaming? Maybe Hulu? Perhaps watching cute kitties on Youtube is your thing? How about all of them? All the time, with the simplicity of your smartphone as a remote control? Well, we’ve made that possible. With a Volareo speaker, you can stream all the video content you like. The speaker functions as an Android TV box with built-in applications. The same power of an Apple TV or similar, but with the flexibility of being able to listen to music in a powerful way. Your portal to all the entertainment you enjoy and to many nights awake till late. We all like to listen to music. There’s nothing worse than having a lot of friends over for dinner and when all of a sudden the dinner party transforms into a full-on party, having to listen to a speaker that is barely hearable throughout the room. Worse than that is dropping those trap hits filled with bass and having the speaker that distorts and eats all of the sounds. Don’t worry, we thought about that. Volareo has a 10W RMS Dual Driver with Bass Boost for your wildest nights. The ones filled with cocktails and fun. It’ll give crisp sounds as well as making you feel the vibration of the bass. All throughout making sure that it’ll be loud enough to wake your neighbours up. The speed of voice assistants penetration in the market is higher than the one of smartphones at the time of release. They’ll be in everybody’s house faster than you think. With that, fear arises. If a device that is connected to a big server database owned by some big corporation in the U.S. all of a sudden listens to every fight you have with your girlfriend, every secret, every quirk. What will that make of me? And, what if that data gets breached? Intentionally or unintentionally. We care about your privacy. Dearly. For that, we’ve made it so simple to choose whether or not you want the microphone of your Volareo speaker to listen. As simple as an ON/OFF switch. Listen or not listen. Your choice. There’s the misconception that eventually everybody will just speak English at one point. Or, for better wording, there’s the will to do so. The U.S. market defines trend and therefore is the one to set the standard. We’ve thought that might not be the case. The most versatile speaker must have the widest array of languages available in the market. As a matter of fact, we have 80. Yes, that’s not a typo. 80 languages. Only this can smash the language barrier down to, virtually, zero. We love music at Volareo. But everybody does, right? Well, we also love the people that make that music. Because when we say ‘love’, we mean it in an unconditional way. We don’t just take from it until it’s beneficial to our interest. We give too. On that mantra, we decided to give the tools to those that, like us, love music unconditionally too, to give back. We’ve made it possible to tip the musicians you love most in the simplest and most direct way. By clapping, by tapping or by saying it. Whatever comes most natural to you. Your favourite artists get what they deserve and you get exclusive content from them. It’s a give and take. Not just a take and take. When it comes to versatility, Volareo has developed its portable smart speaker with the cons of other devices in mind, and crucially, with the concerns and desires of consumers also in mind. Volareo solves many of the problems associated with other smart speakers, offering a device that is as mobile as you are, is accessible in more languages than any other device, and works with all your favourite music and video platforms, plus some you may not yet know. The existence of an on/off microphone switch means that it is up to you, the user, to decide what your device hears or doesn’t hear. You always decide where you would like to use your device – inside, outside, wherever.